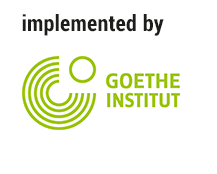 The Goethe-Institut will contribute to Wunderbar Together with a variety of multifaceted projects. Oktoberfest in your own neighborhood! Three mobile beer gardens are touring the States celebrating Bavarian beer and friendship. Click here for the tour’s map, music, and more! Over the next year, we will produce up to 50 podcasts on a wide variety of topics – our aim is to draft a many-sided portrayal of life in Germany and in the US. We are celebrating German film with our collection of 48 streamable German movies. Our carefully curated list includes blockbusters, cult films, and everything in between – for free. The WanderbUS is coming to the US! Starting in March of 2019 our team of education professionals will visit 60 schools and universities all across America. We will bring fun games, opportunities to learn German and to learn about German culture to a school near you. How do we want to live 20 years from now? Learn about issues of sustainability and how to connect them with German as a foreign language and STEM at our 3-day Sustainability Summit 2019 in Chicago. The digital kinderuniversity is a brand new, completely free, and entirely online-based program. Students will learn German while watching fun videos about science experiments. Enjoy! The Goethe-Institut is bringing German-language literature to a US audience through a series of literary events and author talks. Publishers are encouraged to apply for translation grants to make their favorite German books accessible to English-speakers. TOP provides social studies and STEM educators throughout North America with classroom resources, study tours, and up-to-date information about contemporary Germany. The German American Partnership Program (GAPP) supports partnerships and exchanges between schools in Germany and the United States. In celebration of the Year of German-American Friendship, Bremen-based German artist collective Urbanscreen illuminated three iconic buildings in the United States with their light-art. The Goethe-Institut is running four Pop Ups in Houston, Kansas City, Minneapolis and Seattle during the “Year of German-American Friendship”. Examples of Goethe-Institut's projects and work will be demonstrated at these locations. The purpose of these Pop Ups is to unite cultural forces and local civil society and organize events. Disruptions, Interruptions, Misruptions, Soundruptions – the Pop Up in Minneapolis offers a year-long program of artistic actions, interventions, and manifestations in public, semi-public, and private space. The Pop Up in Houston will host and support cultural and social events throughout the city with the aim of bringing a wider understanding of the deep cultural ties between Germany and the USA. The Pop Up in Seattle will stage a variety of events – such as art exhibits, film screenings, lectures, and panel discussions revolving around culture, education, and business. The Pop Up in Kansas City presents events about German culture and language: film showings, art exhibitions, concerts, performances, readings, a language club and teacher trainings are planned. 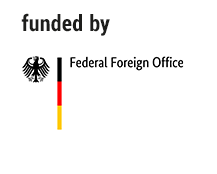 Wunderbar Together: The Year of German-American Friendship 2018/19 (“Deutschlandjahr USA”) is an initiative funded by the German Federal Foreign Office, implemented by the Goethe-Institut, and supported by the Federation of German Industries (BDI) with the goal of presenting today’s Germany to people across the entire U.S.
Wunderbar Together will showcase how closely the two countries are linked by heritage, common values, and shared interests, illustrating how a brighter future is possible if we tackle global challenges together through focusing on dialogue, exchange, and cooperation between people. Germany and the U.S. are connected through a centuries-long common history. German immigrants have helped shape the development of the United States, while the successful development of post-war Germany is inextricably linked to US engagement. Wunderbar together, the Deutschlandjahr USA 2018/19, builds on this success story and aims to intensify the transatlantic dialogue. Would you like your idea to be a part of Deutschlandjahr USA 2018/19? Maybe in the form of a concert in Des Moines, a conference on climate change in Los Angeles, a trade show on German engineering in Birmingham, or an exhibit to be displayed during our planned Pop-Up Tour? There are no limits to your creativity – whether a workshop or a performance, a speaker series or an exhibit, we welcome any and all project proposals that inspire dialogue and exchange. Who is allowed to apply? Anyone can apply, either as part of an institution, company, or as an individual. How can I submit a project? Project proposals that are already fully financed may be submitted through the online application portal. Click here to apply online If you would like a comprehensive overview of the application for the purpose of planning your application please click the PDF link below. Keep in mind that only applications completed through the online application system will be considered. How can my company become part of the Deutschlandjahr? When does the Deutschlandjahr take place? The Deutschlandjahr campaign will last approximately one year starting in October 2018. Projects can take place from October 2018 through fall 2019. Do projects have to take place in the U.S.? The primary focus of projects should be inside the US, however projects with elements that take place in Germany will also be considered. Is the applicant responsible for the implementation of the proposed project? The implementation of the project is the sole responsibility of the applicant or applicant organization. Please list any personnel costs necessary for implementation in the budget section of your application, under Honoraria. Who is legally responsible for projects included in the Deutschlandjahr campaign? The project applicant assumes all liability for personal injury and property damage of any kind resulting from the planning and implementation of the submitted project. Can I submit visual or video content as a part of my application? Yes, you are welcome to submit visual or video content as a PDF or a link within the application. However, while sharing visual/video content can be a useful tool to convey aspects of your project, your written application should be able to stand on its own. Is it possible to make changes to an application I have already submitted? Unfortunately, changes cannot be made to applications once projects are fully submitted. If changes are necessary, please contact Team Deutschlandjahr (deutschland-usa@goethe.de or 1-202-851-3300), who can delete your original application and to allow for revised submissions. 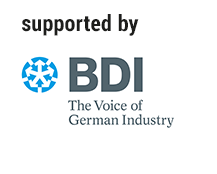 If you have any further questions, the Deutschlandjahr team is happy to offer support.